According to the rugby glossary on the ESPN website, a sin bin is the ‘naughty corner where players who have been yellow carded sit all alone for 10 minutes,’ but Peterborough Rugby Union FC have brought a whole new meaning to the phrase! 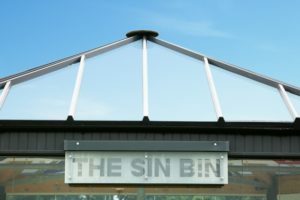 Rob Morley, Managing Director of Liniar fabricator BSW Window Solutions, based in Peterborough, has been one of the key men behind the club’s construction of an impressive new hospitality building – fittingly named The Sin Bin – although it’s certainly no punishment to be sent there! Rob and his brother Bruce, who is the Club President, have both been involved with Peterborough RUFC since 1987, Rob playing second row and Bruce, who is the Sales Director at Tradelink, as a prop. Although they still occasionally turn out for the veteran side, they’re more involved with off-field matters these days. So when the time came for the club to replace a hospitality marquee with a modern building, Rob and Bruce were keen to get their teeth into the project. 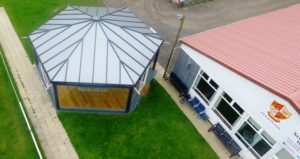 Local businesses were contacted for donations towards the project which eventually resulted in a stunning new hexagon-shaped, free-standing pavilion – with Rob contributing and installing a Liniar conservatory roof. Five of the sides are made up of 2.7m by 5m glass walls, comprising 10mm toughened plate glass, with a solid brick wall across the back, creating an internal space of 84m². Located on the touch line of the first team pitch, the new ‘Sin Bin’ is perfectly positioned to offer a great view of home matches and is ideal for sponsorship packages, as well as being used for coaching. 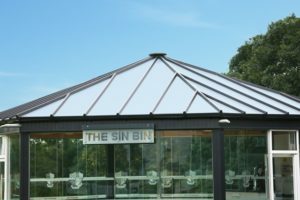 The grey Liniar roof, with white interior, adds the perfect finish to the contemporary styling of the ‘Sin Bin’ as well as offering a whole host of other benefits. 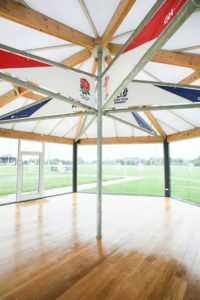 Inside, each section has also been allocated one of the Six Nations flags to provide an even more authentic rugby feel. 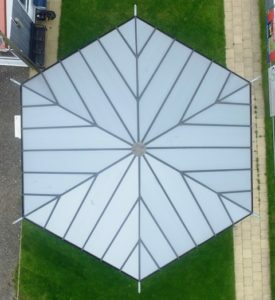 “BSW has been supplying Liniar roof kits for five years and not only do our customers love them, we’ve also got a huge 130m² roof on the side of our own premises,” said Rob. “This covers our glass lounge which we’re planning to expand even more in the near future. “When we started planning the new building, I just knew it had to have a Liniar roof on it. Not only because it would look great, but also because of the high quality of the product and the simplicity of installation. 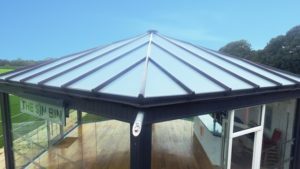 The lightweight design of the polycarbonate glazing sheets was also a major consideration. To find out more about BSW here or call 01733 459955. For more information on Peterborough RUFC click here. 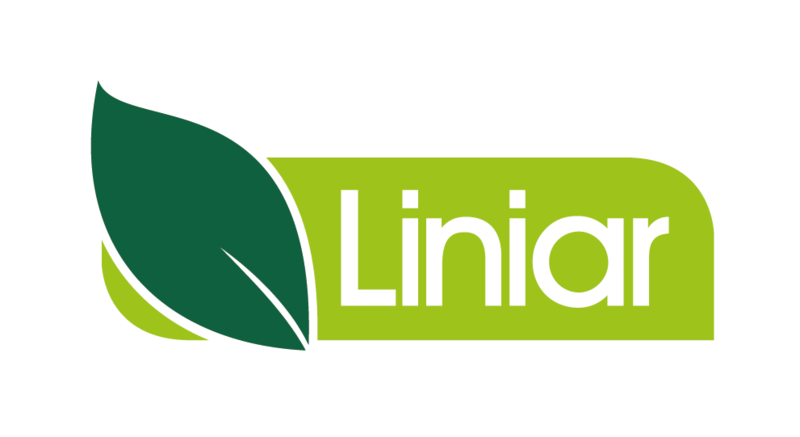 Find out more about Liniar conservatory roofs here.